My sister came across this dish at a lunch club that she joined in her old office — members took turns preparing lunch for the whole group. Reminds me of my co-op in Madison. Like most of her preparations this was beautiful and bursting with flavor. Unlike most of her fancy dishes, however, this looked like something I could make! She even threw in a few ingredients without measuring them 🙂 and Khiyali, host of the Young Person’s Cookery Show, even got to help. I watched. 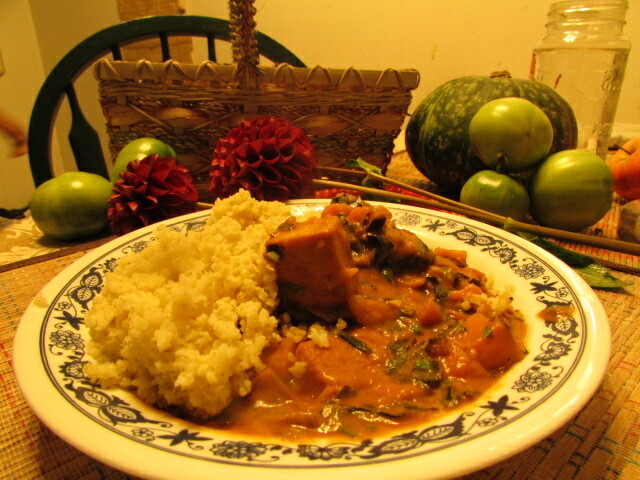 The dish was called African Peanut Stew. The name conjured up colors of lush forest green and robust orange with accents of nutty brown … and sure enough we stirred these up in the pot and beheld the dish before us. We made some variations to the recipe posted at Budget Bytes, (but all within the budget). What a great way to eat different leafy greens – we made it with collard greens, but one could try other greens as well. 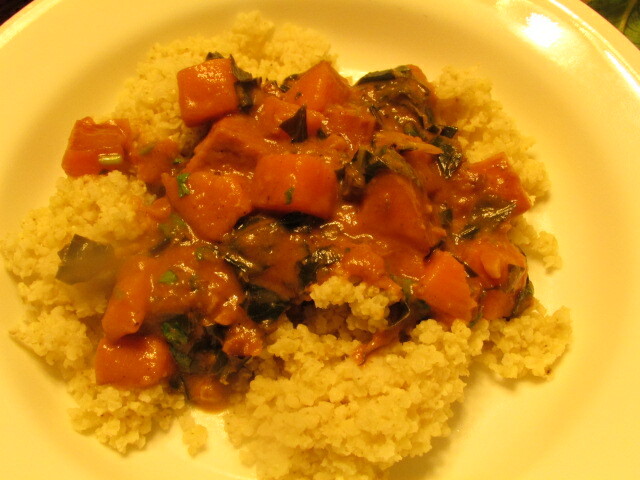 Stew made of collard green and sweet potato served with millet. 1 small bunch (2-3 cups chopped) collard greens, washed and cut into thin strips. How to make it: In a large pot, sauté the ginger and garlic in vegetable oil over medium heat. Add onion and continue to sauté. When oil regains its full sizzle, add sweet potato and continue to sauté until onion and sweet potato are both cooked. Add cumin and red pepper. Add sweet potato and stir-fry with garlic and onion. In a separate pan, stir-fry the tofu cubes until sides are brown. Set aside. In the main pot, stir in tomato paste, peanut butter, vegetable broth and salt and stir until everything is evenly mixed. Add broth, peanut butter and tomato paste. Cover the pot and turn the heat up to high. Add the chopped collard greens and stir-fried tofu cubes. Let the soup come to a boil and then reduce heat and simmer without a lid for about 15 minutes, or until the sweet potatoes are very soft. Once soft, mash about half of the sweet potatoes with a spoon to help thicken the soup. Add coconut milk and remove from heat. Top with chopped cilantro. Cooked millet goes well with this stew. To cook millet: Put 1 cup millet and 2 cups water in a pot. Bring to boil, then reduce heat, cover and simmer for 15-20 minutes. 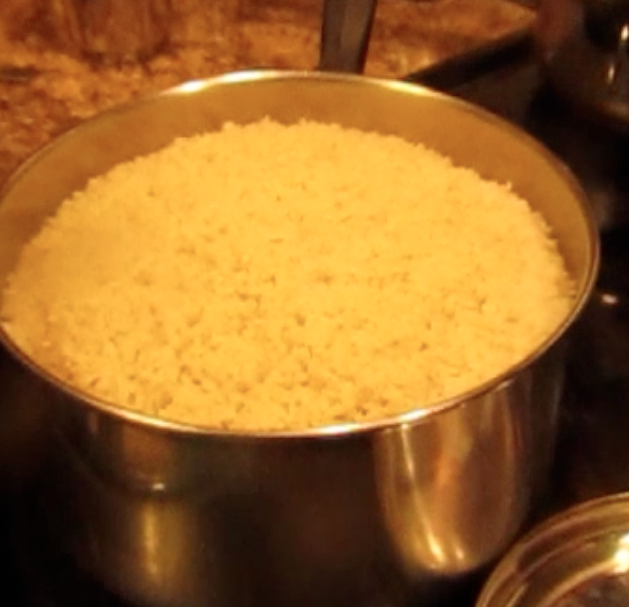 You can also put 1 cup millet and 2 cups water in a rice cooker and turn it on. Notes: If you buy vegetable broth check to see if it already contains salt and reduce the salt accordingly. You may use mustard greens or kale in place of the collard greens. I’ve made it with broccoli as the green vegetable as well! It’s really good. 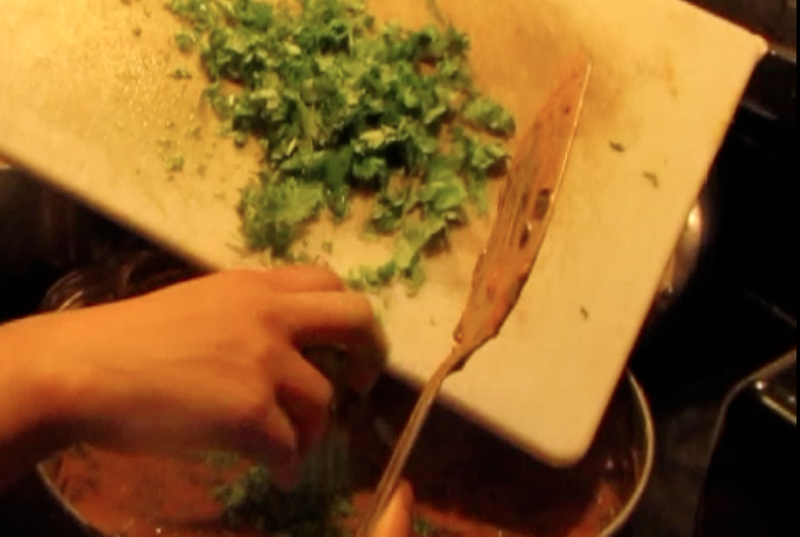 You just need to steam/stir-fry/microwave the broccoli separately and add it to the dish at the end, before the cilantro. Too easy to over/undercook the broccoli if you throw it into the pot.